This journey along the River Rhine explores five countries and features a seven-night cruise from Switzerland to the Netherlands aboard ms Grace or ms Inspire plus three nights in the historic Italian fashion capital of Milan plus a visit to glamorous Lake Como. Day 1: Fly UK » Milan - Benvenuti a Milano! Immerse yourself in the bustling city that reigns as a world capital of fashion and design. Home to the national stock exchange, Milan has been Italy’s financial engine since the Industrial Revolution – and is known for its upscale food scene and shops. But all streets lead to the Gothic Cathedral of Milan, il Duomo, the third largest Catholic church in the world – and beyond magnificent. It took 500 years to finish this forest of spires and pinnacles topped by the iconic statue of the golden madonnina. Steps from il Duomo, stroll through the city’s premier gathering place, Galleria Vittorio Emanuele II, a.k.a. “the living room of Milan.” This massive yet elegant shopping arcade, topped by an airy glass octagonal dome, was built as a symbol of Italian unity in the late 19th century and named after the first king of Italy. You have reservations to see Milan’s pièce de resistance, Leonardo da Vinci’s mural “The Last Supper,” which adorns the dining room at the Santa Maria delle Grazie convent. This extraordinary fresco has a way of drawing the viewer in. You might just feel as if you could walk into the picture, sit down at the table, and strike up a conversation with the apostles (subject to availability; the day of visit may vary). The rest of your day is free. You might want to take in La Scala, one of the most famous opera houses in the world, where Maria Callas sang her heart out… Pinacoteca di Brera, a great art collection including works by Raphael, Bellini, Piero della Francesca, and Caravaggio… the fashion district between pedestrianized Via della Spiga, via Montenapoleone, via Manzoni, and Corso Venezia… or the mildly bohemian Navigli neighborhood of canal-side bars, restaurants, and shops. As you go, be sure to taste the traditional flavours of Milan – sipping a Campari bitter aperitif and sampling dishes like yellow risotto, cassoeula, and ossobuco. You’re off for a day’s tooling around Lake Como, one of Italy’s most beautiful lakes, in the shadow of the snowcapped Alps – a mecca for the well-heeled on holiday since ancient Roman times. Drive to tiny Tremezzina, where you’ll board a boat for belissima Bellagio. Your Tauck Director leads an orientation walk in this resort village, known as “the Pearl of the Lake, ” and you’ll have a bit of free time. Take in the lake views and explore the centuries-old buildings, stone lanes, and cobbled stairways lined with shops. Cruise over to the island of Isola Comacina for a quick tour and a six-course lunch at a family-owned trattoria, where you’ll learn the story of Lake Como’s only island, once the refuge of Lombardy’s kings. 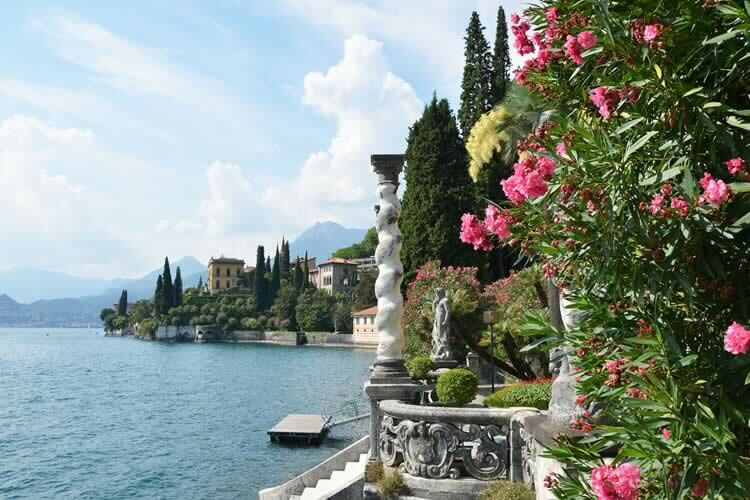 After lunch, a boat cruise shows you more of Lake Como, which the poet William Wordsworth described as “a treasure whom the earth keeps to herself.” The forested shoreline is punctuated by small towns with ancient stone bell towers and opulent villas. Perhaps you’ll see the home of George Clooney or Richard Branson! Disembark in the town of Como and head back to Milan for an evening at leisure. After breakfast, catch the high-speed train to Switzerland. Have you ever ridden through a mountain? “Great things are done when men and mountain meet,” wrote the poet William Blake, and he could have been talking about the Gotthard Base Tunnel, which you’ll go through today, zipping through the base of the Alps. At 35 miles long, it’s the longest railway tunnel in the world, a major feat of engineering that took 17 years to complete. Because you’re heading north, you may enter the tunnel in one kind of weather and exit to find that the weather has completely changed! Late afternoon, get off the train and drive to Basel, where you’ll embark your riverboat. Attend a Discovery Briefing and enjoy cocktails in the lounge before dining onboard your ship. Today you have two Swiss cities to decide between. One possibility is to drive to Zurich, a world capital of banking (not to mention chocolate), for a walking tour with a local guide. Visit Bahnhoffstrasse, the city’s exclusive shopping boulevard, connecting lovely Lake Zurich with the main railway station. Head into Old Town to wander through Niederdorf, a pedestrian area of winding streets, lined with shops, artisan studios, and restaurants. You’ll pass by two important places of worship, the Romanesque Protestant church Grossmünster and Fraumünster, once an abbey home for aristocratic ladies, graced with stained glass windows by Marc Chagall. Enjoy a traditional Swiss lunch in a historic Guild House and hear a talk by a Swiss banker over dessert. Your other possibility for the day is to go on a walking tour in Old Town Basel with a local guide before setting off on your own. There’s much to discover: the city is known for its many contemporary buildings by noted international architects, and it has the highest density of museums in the country, including the world-class Basel Art Museum. You’ll work up an appetite, so make time to try a favourite local treat – honey cake. Have dinner back onboard your riverboat. You set sail tonight. Wake up docked in Breisach, where you have a choice of excursions today. One possibility is to go on a guided bicycle ride in the scenic Black Forest, stopping in the resort village of Hinterzarten for a traditional German lunch and a demonstration of the art of making Black Forest cake. Your other choice is to drive along the bucolic Alsatian wine route, through countryside where some of the world’s best Rieslings are made, to Riquewihr for a walking tour of this medieval wine town. On the list of “The Most Beautiful Villages in France,” Riquewihr is situated between the Vosges Mountains and the Plain of Alsace, right in the heart of vineyard country. After lunch, enjoy a tasting at one of the local wine cellars. Wake up in Germersheim and drive to Heidelberg for a guided visit to the splendid ruins of Heidelberg Castle, a sprawling red sandstone compound high above the city, a reminder of 600 years of history. Check out the Heidelberg Tun, the biggest wine barrel in the world (and walk on top of it). Learn about centuries of movers and shakers, and the romantic story of the Elisabeth Gate, built in 1615 as a present from Elector Frederic V to his wife Elisabeth Stuart, the daughter of King James I of England. He had the triumphal arch secretly crafted in sections and put up as a whole the night before her birthday to surprise her the next morning. The views of the Neckar River Valley from the castle are unforgettable. While strolling in Old Town Heidelberg below, be sure to try a Heidelberg Student Kiss – a special treat invented in the 19th century by a sympathetic chocolatier to give young men a way to express their affections for young women they were not allowed to talk to! Meet your riverboat in Mannheim and spend the afternoon cruising north. You’ll have time to enjoy the gym, get a massage… or curl up in a chair on the Sun Deck with a snack and your favourite drink. Arrive in Rüdesheim and disembark for a Tauck Exclusive evening at a beautiful wine estate, overlooking the Rhine. The winemaking town of Rüdesheim sits in an idyllic landscape laced with vineyards in the Rhine Gorge, a UNESCO World Heritage Site. You have two choices for enjoying this storybook town. One possibility is to fully immerse yourself in a bygone era on a visit to Siegfried’s Mechanisches Musikkabinett, a collection of enchanting old musical machines, instruments, and music boxes, many with visible moving parts, housed in a 16th-century castle. The museum is a unique testament to craftsmanship and ingenuity. Afterward, enjoy a cup of Rüdesheimer kaffee– coffee enlivened by Asbach Uralt brandy and vanilla-inflected whipped cream. Your other choice this morning is a guided bicycle ride (approximately an hour and a half) through town. 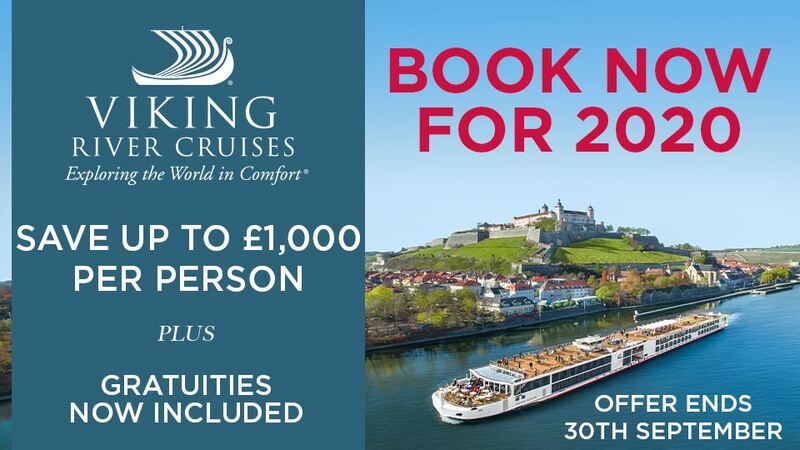 Return to your riverboat for lunch and an afternoon’s cruising through the Middle Rhine. Your Tauck Director provides commentary as you glide past sloping vineyards and rocky bluffs, sharing the stories of the Lorelei Rock and the castles standing watch onshore. Dock this evening in little cobblestoned Linz am Rhein, and go ashore with your Tauck Director for a walking tour. Spend a leisurely morning cruising and arrive after lunch in Dusseldorf. Walk off the riverboat into town for your choice of either a beer tour that visits a number of breweries to give you a taste of the varieties of dark Altbier the region is known for – or a walking tour focused on the city’s history and architecture. Dusseldorf is one of Germany’s wealthiest cities, known for its charming Altstadt (Old Town) on the riverfront as well as its avant-garde architecture. During your free time, you might want to visit Königsallee (“the Kö”), the city’s super high-end shopping street not far from Altstadt, rivaling Rodeo Drive in Los Angeles and Fifth Avenue in New York City. If you’re a vintage car buff, check out the Classic Remise Düsseldorf, a center for vintage cars in a historic roundhouse for locomotives. Or take a walk along the lively promenade by the river. Your riverboat charts a course for the Netherlands this evening. Arrive late morning in Amsterdam and disembark to be introduced to the city in the very best way – on a canal boat cruise. As you float through the city’s 17th-century network of canals and enjoy a bite of lunch, you’ll pass under bridges, check out the houseboats, and see the historic buildings lining the canals. 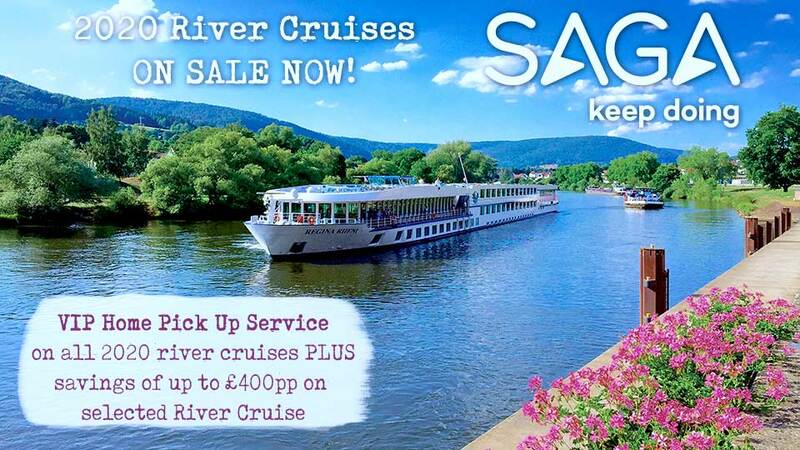 After your canal boat cruise, take an afternoon to yourself for exploring as you wish. Be sure to watch out for bicyclists as you walk. The locals go everywhere on bicycles, with their groceries, briefcases, and children onboard. Bicyclists have their own lanes in the streets, ride fast, and don’t always stop for pedestrians who get in their way! There’s much to do with your free afternoon – visit one of the city’s many museums or stroll through the “Nine Streets” in the heart of the canal district, popping into unique shops and galleries, sampling cheeses or trying out Amsterdam’s famed coffee shops. Our shuttle service will take you back to the riverboat throughout the afternoon, but you can also walk back. This evening join us for a farewell reception onboard ship, followed by dinner. Your Rhine river cruise ends: Amsterdam. Disembark by 9:00 AM. Fly home anytime; a transfer from your riverboat to Amsterdam’s Schiphol Airport or Centraal Train Station is included. Allow a minimum of three hours for flight check-in at the airport. For additional nights in Amsterdam, ask at booking. All private Tauck shore excursions – £1,890 Value!